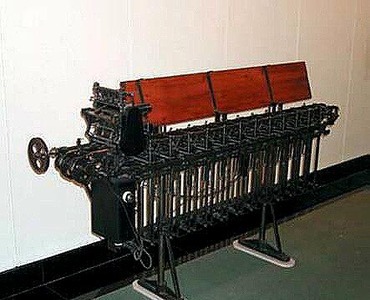 The first 20 of Herman Hollerith's automatic sorters arrived at the U.S. Census Office in October 1901. The horizontal units were equipped to sense the hole position in a card by activating a magnet, so that the card, which traveled through the machine on a belt, was steered by a guide channel into a particular pocket. The machine could sort cards into any of 12 pockets. Though crude by comparison, the sorters nevertheless bear a distinct resemblance to those used to sort bank checks today.